If you’re out walking in a nature reserve, you may overhear snippets of conversation: “have you seen much today?” , “No, not much out there”. But I think it’s not what’s “out there” as much as what your eye lets you see. 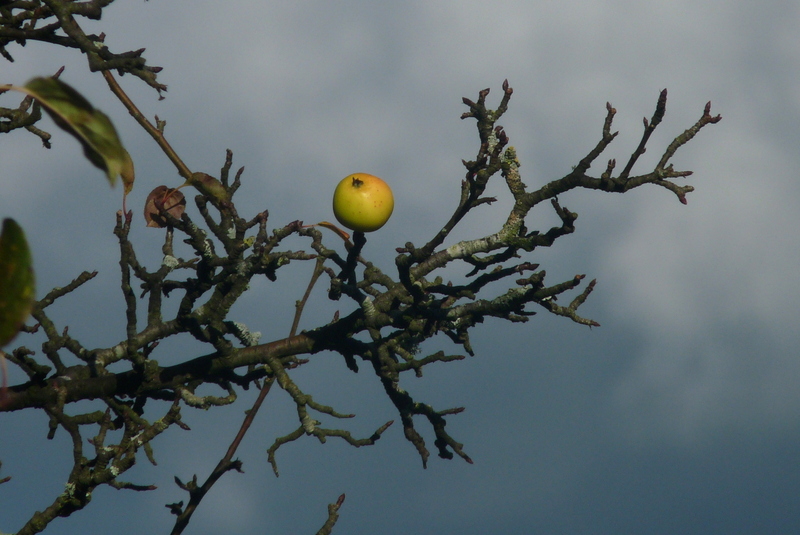 Last week I saw a single crab apple , beautifully lit by thin autumn sunshine against a dark sky. So? It’s just a crab apple. 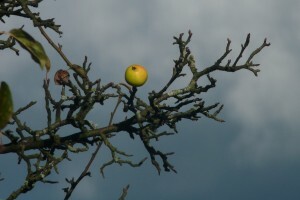 But it took a year to grow, and what has happened to all the other apples? Food for woodmice, maybe badgers. And the harvest coincides with the influx of winter thrushes, redwings and fieldfares from Scandinavia. I wondered how many seeds will make it to a new crab apple tree next year? So it might be a small apple, but if you look, it contains a whole world within it.